Cleanmarine Krill Oil for Kids helps to make sure your child eats a balanced diet and gets enough omega 3 every day which can be a challenge, especially with fussy little eaters. Each kid’s sized capsule is packed with a potent form of omega 3 known as "phospholipids", which have been shown to be highly effective even when taking lower levels compared to fish oils. Taken daily, this will ensure your little ones get the Omega 3 goodness they need but without the dinner table drama. 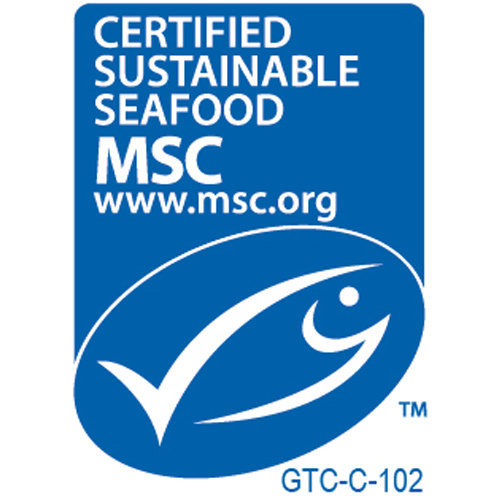 Plus, there is no fishy after-taste like with fish oils. Euphausia superba (Krill Oil, 60%, Crustacean), softgel capsule (fish gelatine, glycerine, sorbitol). Under 10 years: Take 1 capsule daily. Over 10 years: Take 2 capsules daily. 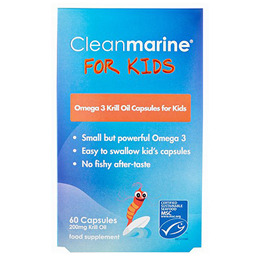 Below are reviews of Cleanmarine Krill Oil for Kids - 60 x 200mg Capsules by bodykind customers. If you have tried this product we'd love to hear what you think so please leave a review.